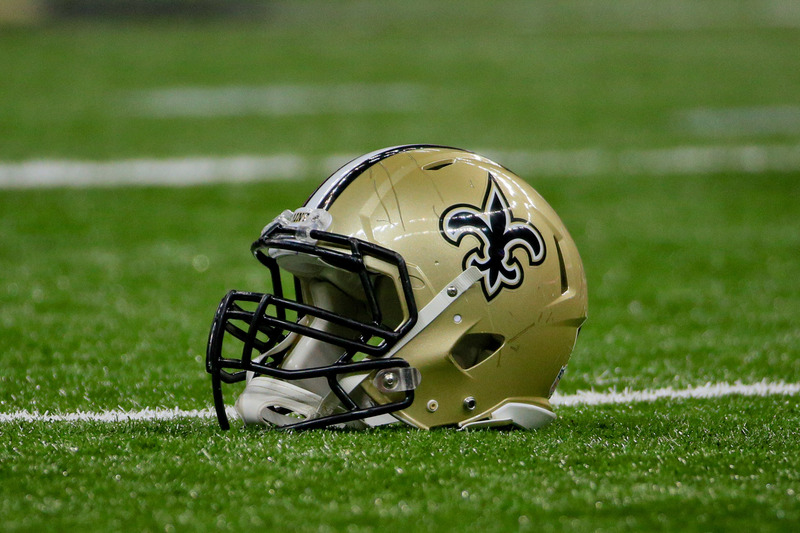 The Saints have secured three of their 2016 draft picks, including their top two selections, general manager Mickey Loomis formally announced today in a press release. 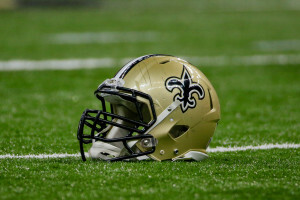 In addition to signing first-round defensive tackle Sheldon Rankins, second-round wide receiver Michael Thomas, and seventh-round running back Daniel Lasco, the club parted ways with running back Vick Ballard, defensive end Phillip Hunt, and fullback Toben Opurum. All three veterans cut today by New Orleans have appeared in regular-season NFL games. Ballard notably ran for 814 yards and a pair of touchdowns during the 2012 season, when he served as the Colts’ primary back for most of the year. Hunt, 30, has been a part-time player for the Eagles and Lions in parts of four seasons since 2011, picking up four career sacks. Opurum, meanwhile, appeared in his first two regular-season games for the Saints in 2015. As for the Saints’ draft pick signings, Rankins’ deal represents the most significant of the three, of course — it’s worth $12.802MM over four years, with a $7.51MM signing bonus and a fifth-year option for 2020. Thomas will receive a signing bonus of $1.923MM on his four-year rookie pact, while Lasco will get a modest $75K bonus. No NFL team had a smaller 2016 draft class than the Saints, who selected just five players, so New Orleans has now locked up more than half of its draftees. The Saints have signed running back Vick Ballard to a reserve/futures deal, as Evan Woodbery of The Times-Picayune writes. After consecutive years of tearing his ACL, Ballard’s status with the Colts was said to be on the rocks prior to the 2015 season thanks to a hamstring injury. Ultimately, he was unable to make an impression on the coaching staff and front office in the offseason and his health situation led him to getting waived in mid-September. Ballard, 26 in July, broke out in 2012, his rookie season with the Colts. The fifth-round draft pick ran for 814 yards off of 211 carries, good for an average of 3.9 yards per attempt. However, he has yet to do much ever since thanks to the aforementioned ACL problems. He did not sign with another NFL team last season and, last we heard, he auditioned for the Bears in December. Nearly five months later, he has finally found his new NFL home. Reserve/futures contracts essentially function like regular free agent deals, except that only players who didn’t finish the previous season on an NFL team’s active roster can sign them. So a player on a practice squad could ink a futures contract, and many have in recent weeks. These deals are known as “futures” contracts because they don’t technically go into effect until the new league year begins. For more on reserve/futures deals, check out this detailed explanation from Pro Football Rumors. Earlier tonight, the Rams announced that they will be benching quarterback Nick Foles in favor of backup Case Keenum. However, coach Jeff Fisher told reporters that, at some point, Foles will resume starting duties. Browns owner Jimmy Haslam said in the wake of the team’s 30-9 loss to the Steelers that he doesn’t expect to make any changes to the coaching staff as the club enters its bye week. However, it seems increasingly likely that an offseason house-cleaning is around the corner, according to Marla Ridenour of the Akron Beacon Journal, who doesn’t envision GM Ray Farmer hanging onto his current position. Despite the Browns‘ struggles this season, wide receiver Travis Benjamin says his desire to re-sign with the team remains unchanged, adding that he’s willing to stick with the franchise for the long haul, tweets Nate Ulrich of the Akron Beacon Journal. Sources tell Mike Garafolo of FOX Sports that Dolphins executive VP of football operations Mike Tannenbaum currently has a “strong say” when it comes to who plays on Sundays for Miami. Interim head coach Dan Campbell seems to be fine with that, and Garafolo wonders if that makes Campbell a stronger candidate to land the permanent job, since other candidates may not be able to co-exist as well with Tannenbaum, who likes to have input on game-day decisions. Former Ravens defensive tackle Terrence Cody has been acquitted of the most serious animal cruelty charges levied against him, as Alison Knezevich of The Baltimore Sun tweets. However, Cody was convicted of multiple neglect charges. The Saints worked out linebacker Brad Jones and running back Vick Ballard today, according to Field Yates of ESPN.com (on Twitter). The DeflateGate scandal reentered the news Thursday when Mark Baltz, the NFL’s head linesman from 1989-2013, voiced his suspicion regarding recently reinstated Patriots employee Jim McNally. In response, Jim Daopoulos – the league’s ex-supervisor of officials and one of Baltz’s former bosses – defended McNally. “I really don’t know what Mark’s agenda is right here,” Daopoulos added. Although Falcons star receiver Julio Jones has been limited this week with a hamstring injury, head coach Dan Quinn says there’s “zero” chance he’ll miss their game Sunday, per The Associated Press. Jones lit up the Eagles for nine catches, 141 yards and two touchdowns in Monday’s win. He’ll look to do something similar against the Giants this week. Chargers guard D.J. Fluker was carted off the field with an ankle injury during the team’s Week 1 win over Detroit, and there was concern that he’d miss anywhere from four to six weeks. Instead, Fluker will only miss a couple weeks, according to Michael Gehlken of the San Diego Union-Tribune. In the meantime, Chris Hairston will take his spot as the starting right guard. Raiders receiver Amari Cooper harbors no ill will toward Bengals cornerback Adam Jones, who avoided a suspension after ripping Cooper’s helmet off his head and slamming his head against the ground in Cincy’s win last week. “I didn’t want him to get suspended,” Cooper said, per Scott Bair of CSNBayArea.com. “He was just playing football and playing physical like you’re supposed to. I’m past all that now. I’m trying to focus on the Ravens.” (Twitter links: 1; 2). Seahawks rookie defensive end Frank Clark is a situation player – for now, anyway – and using Richard Sherman in the slot enables the team to get its three best cornerbacks on the field, D-coordinator Kris Richard said (Twitter link via The Seattle Times’ Bob Condotta). The Colts’ decision to waive/injured running back Vick Ballard prior to Week 1 remains a curious one, writes Stephen Holder of the Indianapolis Star. They did it to open up a spot for inside linebacker Josh McNary, but they have a logjam of ILBs. On the other hand, they’re lacking at running back behind starter Frank Gore. The Colts have waived running back Vick Ballard with an injured designation, Ian Rapoport of NFL.com tweets. After consecutive years of tearing his ACL, Ballard’s status with the Colts was said to be on the rocks this summer thanks to a hamstring injury. 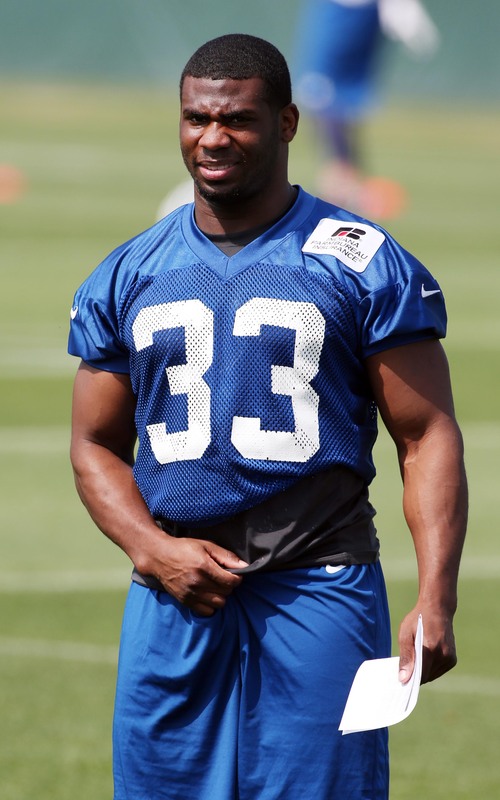 Ballard was unable to make an impression on the coaching staff and front office in the offseason and now, the injury bug has him jettisoned from the Colts’ roster. Ballard, 25, broke out in 2012, his rookie season with the Colts. The fifth-round draft pick ran for 814 yards off of 211 carries, good for an average of 3.9 yards per attempt. However, he has yet to do much ever since thanks to the aforementioned ACL problems. X-rays on Arthur Jones ankle were negative, but the Colts defensive lineman also had an MRI scheduled for Sunday, per Ian Rapoport of NFL.com (via Twitter). Josina Anderson of ESPN reported that Jones went to a foot and ankle specialist after his MRI (via Twitter). He is expected to miss a “decent chunk of time” according to Jason La Canfora of CBS Sports (via Twitter). Regardless of whether Jones sustained a serious ankle injury or not on Saturday night, Jason Cole of Bleacher Report believes the Colts should bring in free agent DT Barry Cofield (Twitter link). After consecutive years of tearing his ACL, Vick Ballard’s tenure with the Colts is on the chopping block following a hamstring injury has prevented him from making an impression on the coaching staff and front office this summer, writes Mike Wells of ESPN. The Jaguars have two kickers on the roster in Josh Scobee and Jason Meyers, and Ryan O’Halloran of Jacksonville.com is guessing that the team is hoping to trade one of them this week before cutting its roster down to 75 players by Tuesday. A week after losing Pro Bowl receiver Jordy Nelson to a season-ending ACL injury, the Packers are hoping fellow Pro Bowl wideout Randall Cobb doesn’t join him on the shelf. Cobb suffered a right shoulder injury during the Packers’ game Saturday against Philadelphia. The severity of the ailment is currently unknown, but one injury that has been ruled out is a broken collarbone, Ian Rapoport of NFL.com tweeted. A serious injury to Cobb would be a devastating blow to the Packers, given that their receiving corps already lost Nelson. He and Cobb combined for a whopping 189 catches (25 of which were touchdowns) and nearly 3,000 yards last year. Dolphins center Mike Pouncey hurt his left knee during Saturday’s game against Atlanta and will have to undergo an MRI on Sunday. Pouncey, who is wearing a brace, vows not to miss any regular-season time, Omar Kelly of the South Florida Sun-Sentinel reports (Twitter link). Head coach Joe Philbin also expressed optimism regarding Pouncey’s injury. “We think he’ll be OK,” he said, per Adam Beasley of the Miami Herald (via Twitter). Seahawks left tackle Russell Okung will probably use the five-year, $66MM extension Washington signed Trent Williams to earlier today as a benchmark for his next deal, according to CBS Sports’ Joel Corry (via Twitter). Okung, who’s in a contract year, was the sixth overall selection in the 2010 draft, going two picks after Williams. Okung has since made 59 starts and one Pro Bowl, while Williams has made 70 and three, respectively. Don’t count on a reunion between the Giants and free agent safety Stevie Brown, writes Ralph Vacchiano of the New York Daily News. The Giants are scheduled to work out Brown, but he has interest from “a number of teams,” according to his agent. Brown spent 2012-14 with the Giants before a brief stint in Houston this year. The Colts scratched running back Vick Ballard from Saturday’s game in St. Louis. That doesn’t bode well for his chances of making the roster, according to Stephen Holder of the Indianapolis Star. Ballard has battled serious injuries over the past couple years and has played in just one game since 2012 as a result. Lions running back Joique Bell, who underwent knee surgery in January, is unsure if he’ll play Week 1. “I’m not going to say I’m ready to go out there and take every play and run every down, right now, but you never know how I’ll feel in two weeks,” Bell said, according to Justin Rogers of MLive.com. The fourth-year man is coming off his most productive season (1,182 total yards, eight touchdowns). Patriots fullback James Develin suffered a broken tibia in Friday’s loss to Carolina, and ESPN’s Mike Reiss tweeted that the hope is recovery from surgery will take six to eight weeks. However, David Chao – the former team doctor for the Chargers – responded that it could actually take Develin six to eight months to return (Twitter link).